Add a metal edge to your clean, classic style with the SKECHER Street Alba - Street Hype Shine shoe. 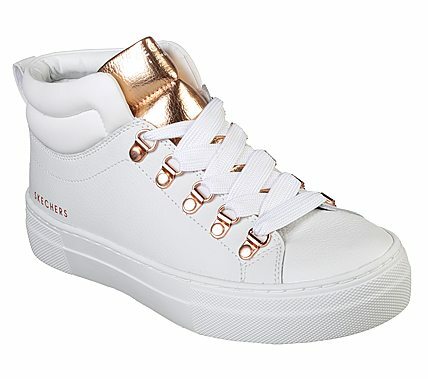 Smooth leather upper in a lace up classic fashion high top sneaker with metallic details and stitching accents. Rise Fit Tech midsole, vulcanized midsole.